DS represents Citroën’s premium offering, with the DS harking back to Citroën’s iconic DS cars. 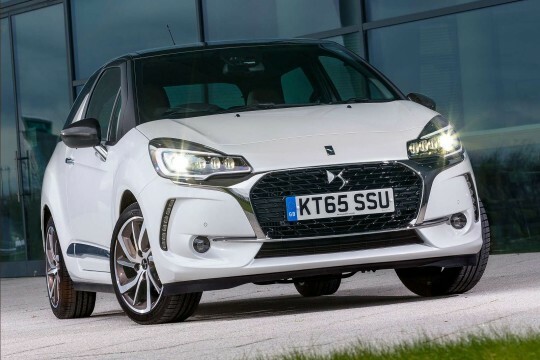 The stand-alone DS marque was born in 2014 so that owning group PSA could offer drivers a premium car in the family of car brands that includes Peugeot, Citroën, Vauxhall in the UK and Opel in Europe among others. The DS brand is, in fact, the French car industry’s answer to Germany’s higher-end vehicles, and this upmarket brand can hold its own against its peers. Hippo Leasing allows you to experience these higher-end vehicles for yourself – including the DS 3 and DS 4, which offer a seamless driving experience in the city. Enquire online about leasing one of the fantastic cars for yourself by visiting their lease deal page and filling in the form, and one of our team will get back to you. To find out more about how simple it is to lease a DS from Hippo Leasing, or to answer any questions that you may have about these cars, simply call 01254 956 666; or email info@hippoleasing.co.uk today.